“Coffee pods” have completely changed the way many people make coffee at home. Keurig is one of the leaders who have driven that innovation. What started out as coffee has already expanded into teas, and what started out as hot coffee has already expanded into cold brews and iced teas. But that was just the beginning, apparently. 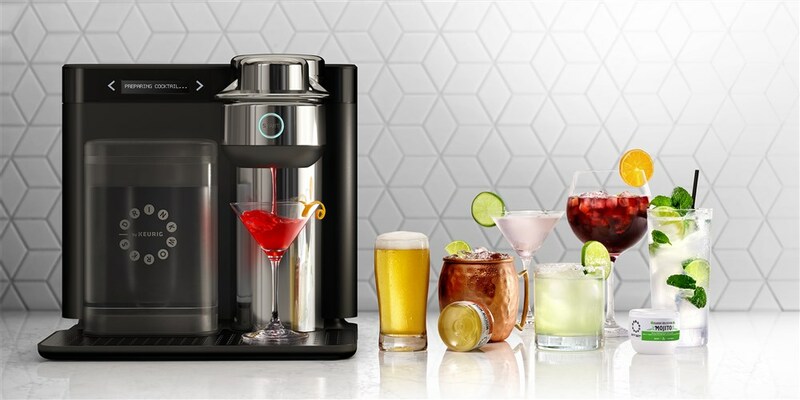 Now Keurig is launching a new machine and pods that make cocktails at home. Smart extension IMHO. If you buy into custom brews, why not have that brew extend beyond coffee? Makes the Keurig brand even more valuable in the home. The machine makes Moscow Mules, Long Island Iced Teas, and Mojitos…just to name a few.